The Trimble R6 GPS System is a multi-channel, multi-frequency GPS receiver, antenna, and data-link radio combined in one compact unit. The Trimble R6 GPS System is a multi-channel, multi-frequency GPS receiver, antenna, and data-link radio combined in one compact unit. An R-Track technology option provides GLONASS augmentation to the Trimble R6 GPS solution. 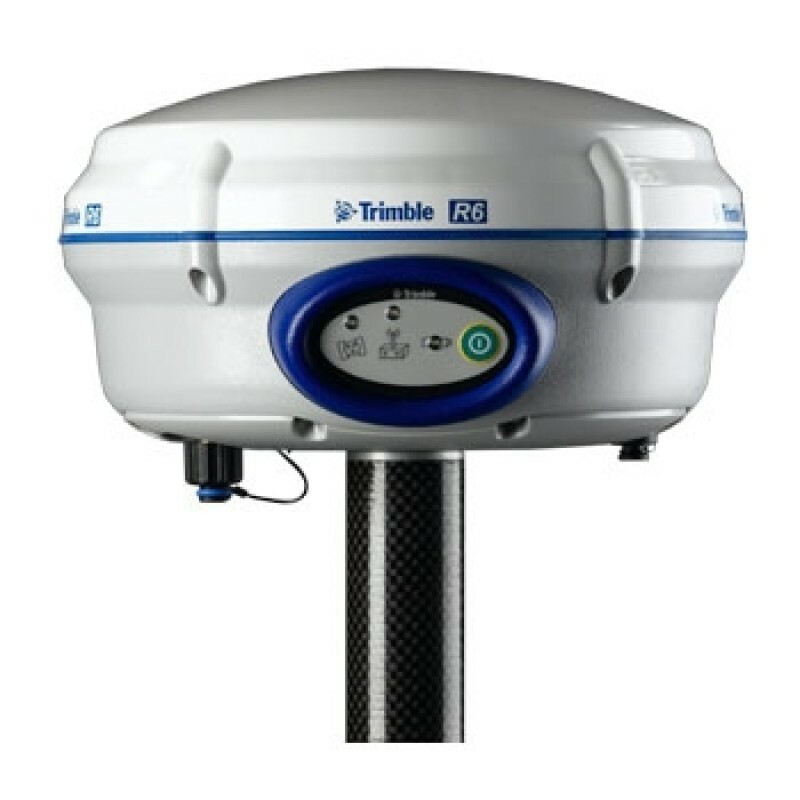 Use the Trimble R6 for RTK or static surveying, or in a Trimble VRS infrastructure network. The Trimble R6 is ideal for multiple surveying applications, including topographic, cadastral, and stakeout. For specification details, refer to the datasheet. Your Competitive Edge Is the Trimble System The Trimble R6 offers industry-leading GPS receiver technology in a proven rover/base design that's lightweight, rugged and cable free. All system components-including the receiver, controller and field and office software-are designed to work together. Trimble Rental Available. Trimble Integrated Surveying The Trimble R6 GPS system seamlessly integrates with complementary technologies on the job site. Trimble software such as Trimble Survey Controller receives GPS and optical data in one job file for effortless transfer. The Trimble R6 also functions as a Trimble I.S. Rover, and works optimally as part of a GNSS infrastructure solution.